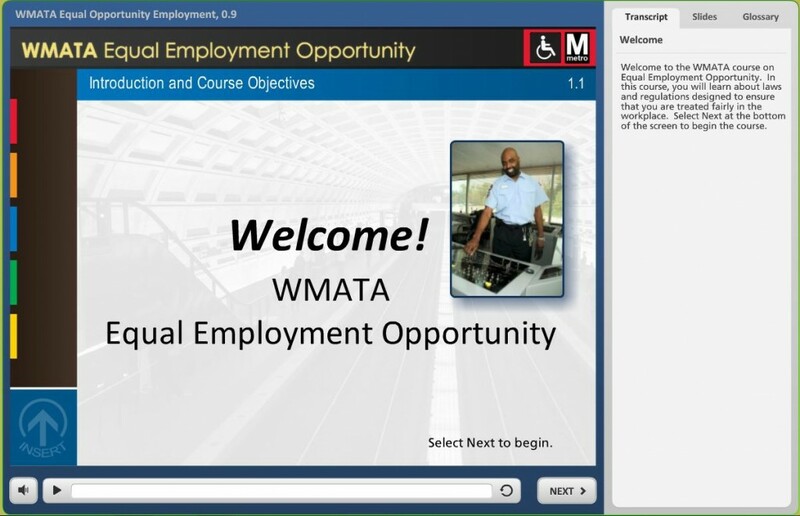 WMATA - Equal Employment Opportunity - MetaMedia Training International, Inc. 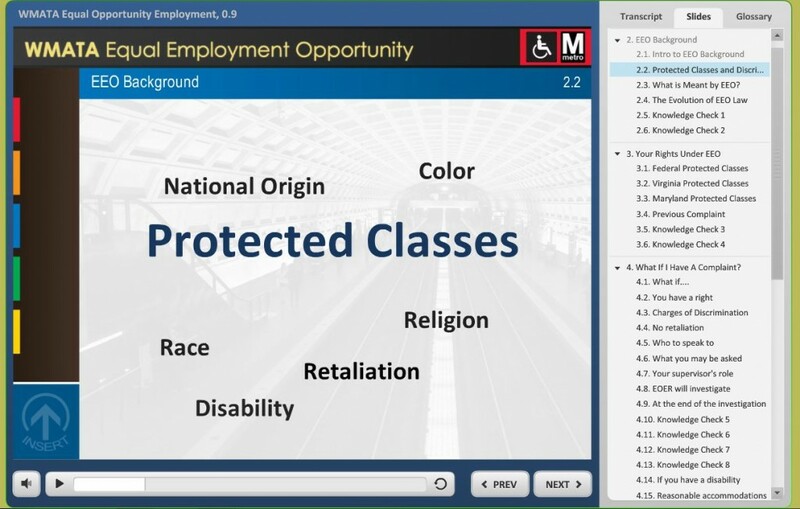 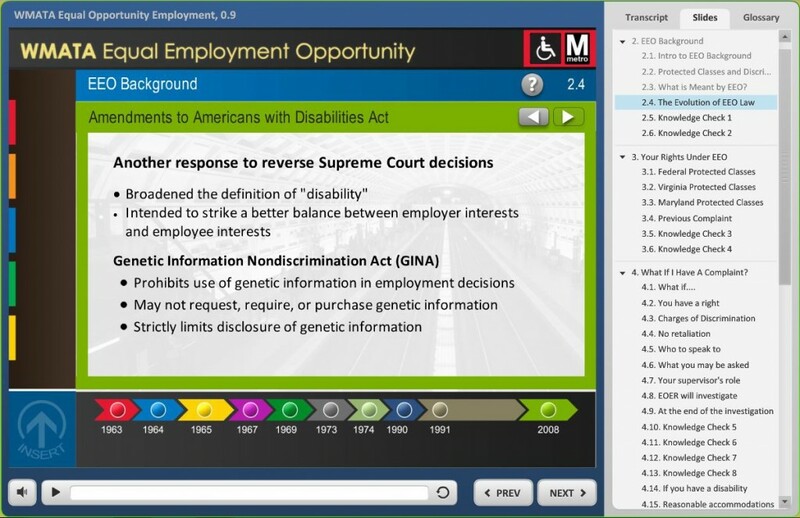 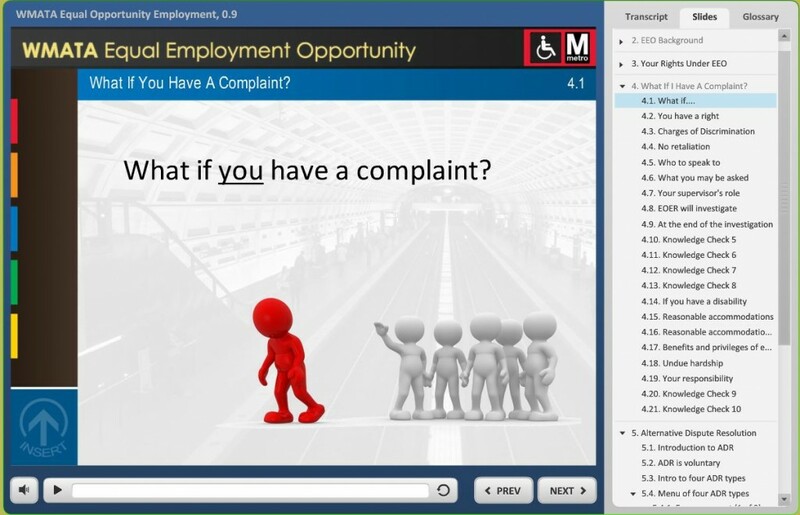 Description: The Washington Metro Area Transit Authority (WMATA) asked MetaMedia to create online training for employees and supervisors about their rights and responsibilities under Equal Employment Opportunity laws. 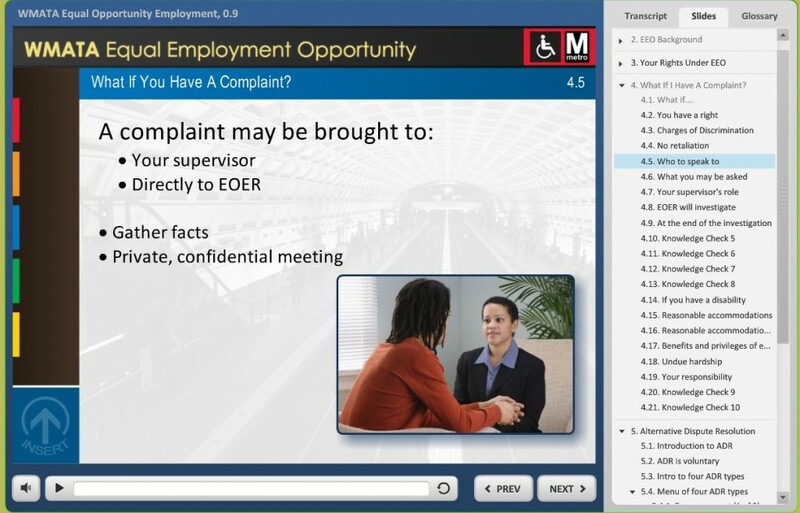 This 30-minute introductory program covers the evolution of equal employment law, what the protected classes under EEO law are, what to do if an employee feels they have been discriminated against, and what to expect during the investigation of an EEO case.